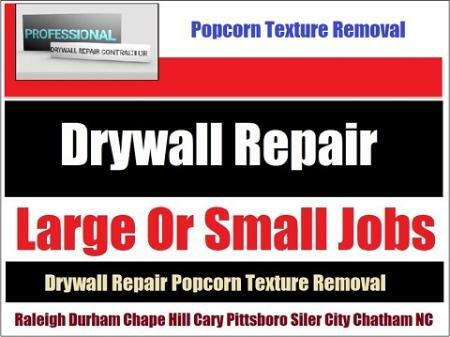 Need drywall repair and live in Chapel Hill or surrounding? Call Drywall Specialist a skilled, trained expert with years of drywall repair, restoration and renovaton experience. Affordable prices and free estimates on large or small jobs in Chapel Hill NC. Chapel Hill's Top Drywall Repair | Renovation Restoration Contractor. Chapel Hill: 27514. 27515. 27516. 27517. 27599. 27707.